It’s no secret that the Shields’ are all about experiences, and this one didn’t disappoint. 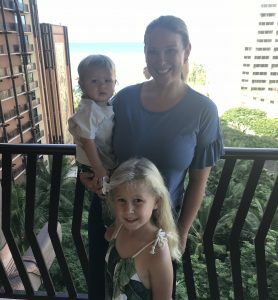 Instead of throwing a big party full of gifts, we decided to take MC to Disney Aulani to celebrate her sixth birthday in style with a staycation. We had a blast! The room was gorgeous and had an amazing view, the grounds were superb, and the amenities were spectacular! We took full advantage of the lazy river, crazy water slides and the pools! We had our fair share of dole whip, Mickey shave ice, and French fries (a six year olds dream, lol). Thursday morning we ate with auntie and some Disney characters at the breakfast buffet. The food was great! We spent the rest of the day lounging at the pool and had dinner with friends overlooking the most beautiful Hawaiian sunset to date! Yesterday (Friday) was MC’s actual birthday. Late checkout was a must , so we could continue to enjoy ourselves and, you guessed it…lounge by the pool! Don’t get me wrong, the lagoons here are incredible, but we come to the beach here often and wanted to take advantage of the amenities that were exclusive to Disney guests. They also have aunties beach house that has different activities for the kids and parties for children 3 and older. There are several restaurants on property ranging in price and all seemed pretty reasonable considering this is Hawaii. We will definitely be planning another staycation here in the near future…but for now, I’m planning our Christmas getaway. I’m thinking Kailua-kona on the big island for some r and r. Comment below with your favorite family getaways that don’t break the bank! Next Post New hair, who dis? !